HULK YOU-GOOGLE-A-GIZES: THEO ANGELOPOULOS | Birth.Movies.Death. Hulk looks back on the giant of cinema's career. THEO ANGELOPOULOS WAS A GIANT OF CINEMA. ...IT'S JUST THAT NOT A LOT OF PEOPLE HAD HEARD OF HIM. WHICH IS UNFORTUNATE, BECAUSE HULK PUTS HIM IN THE SAME PANTHEON AS TERRENCE MALICK, KRZYSZTOF KIESLOWSKI, AND ANDREI TARKOVSKY. IF YOU LIKE ANY OF THOSE FILMMAKERS YOU MAY ENJOY THE HECK OUT OF THEO TOO. AFTER ALL, THAT'S SOME DAMN FINE COMPANY. ANGELOPOULOS WAS A GREEK FILMMAKER WHO EMERGED FROM THE WORLD OF FILM CRITICISM AND JOURNALISM TO DIRECT SEVERAL "POLITICAL" FILMS IN THE EARLY 70S. HULK PUTS THAT WORD IN QUOTES BECAUSE WHILE THE TRAVELING PLAYERS CERTAINLY CAME ACROSS AS A TRADITIONAL POLITICAL ALLEGORY, THE MAJORITY OF HIS WORK WAS ONLY POLITICAL IN AN EMOTIONAL CONTEXT. WHAT DOES HULK MEAN BY THIS? WELL, POLITICAL FILMMAKING IS OFTEN MERELY THE PAINTING OF AN IDEOLOGY MADE INCARNATE, STORIES BENT TO THE WILL OF PROPAGANDA, BUT THEO REPRESENTED EVERYTHING THAT WAS THE OPPOSITE OF THAT: HE WOULD SIMPLY PAINT THE SADDEST, MOST HUMANE REALITIES AND LET THEM SPEAK VOLUMES ABOUT THE STATE OF HIS COUNTRY. GREECE HAS A BEYOND-RICH, YET TUMULTUOUS HISTORY. IT IS AN ANCIENT LAND TRAPPED AT THE CROSSROADS OF THREE CONTINENTS, RAVAGED BY WARS, DISASTER, AND ECONOMIC FLUCTUATIONS... AND IT GOES ON TODAY. AT TIMES, THEO'S FILMS WALKED A FINE LINE BETWEEN SO CAREFULLY ARTICULATING "A MOMENT" AT THE TIME IN GREECE, AND AT OTHER TIMES EXPRESSING A CULTURAL CONDITION THEY HAVE LIVED WITH FOR THOUSANDS OF YEARS. YET, IT WAS HIS FOCUS ON THIS DIFFICULT HISTORY THAT OFTEN PUT HIM IN CONTROVERSY WITH THE GREEK COMMUNITY AT LARGE. THEY FELT THEO, AS ONE OF THE COUNTRY'S GREAT ARTISTS THE COUNTRY, DID NOT REPRESENT THE COUNTRY WELL ENOUGH ON THE INTERNATIONAL STAGE.... IT IS A CRITICISM AS MISGUIDED AS THE INTENT. LIKE THE PEOPLE OF BALTIMORE WHO DON'T LIKE THE WIRE BECAUSE IT PAINTS THE CITY IN A NEGATIVE LIGHT, IT'S MISSING WHAT ACTUALLY RESONATES AND UNDOES THE GREAT HUMANITARIAN INTENT. MORE TO THE POINT, THE FILMS OF THEO ANGELOPOULOS ARE HAUNTINGLY BEAUTIFUL. HE WAS FAMOUS (OR PERHAPS INFAMOUS) FOR USING LONG, SINGULAR TAKES WHICH DID SO MUCH TO DEFINE SPACE AND TIME WITHIN HIS STORIES. HE SUPPORTED THESE TAKES WITH MINIMALIST VISTAS AND TRULY ARRESTING IMAGERY. THERE'S A MOMENT IN HULK'S FAVORITE FILM OF HIS, THE LANDSCAPE IN THE MIST, WHERE THE CHARACTERS COME TO THIS HUGE EMOTIONAL JUNCTURE, BUT SUDDENLY THERE IS A PIECE OF A STATUE THAT IS BEING FLOWN THOUGH AIR BY HELICOPTER. THE CHARACTERS JUST WATCH AS IT SAILS THROUGH THE AIR IN THIS PROLONGED MOMENT OF SUBDUED AWE. IT HAS ALMOST GONE ON TO BECOME THE ICONIC IMAGE OF THEO'S ENTIRE OEUVRE. HULK SHOULD MENTION THAT YES, HIS FILMS DO TAKE A SMALL MATTER OF PATIENCE AND ALSO YES, IN MANY CASES THESE FILMS ARE DEVASTATINGLY SAD. BUT DO NOT MISTAKE THEM FOR SOMETHING THAT TRIES TO ARTICULATE HORRORS OR FOR BEING DIFFICULT TO WATCH. THIS IS POETIC SADNESS. LONG DREAM-LIKE TRIPS THROUGH A HUMANITY DESPERATE FOR A BETTER STATE OF LIVELIHOOD. IN SOME WAYS THEY ARTICULATE THE BEST AND WORST OF OUR OWN HOPEFULNESS. AND THE BEST PART IS THAT HE WAS STILL WORKING IN HIS TWILIGHT YEARS. HE MADE THE DUST OF TIME JUST A FEW SHORT YEARS AGO WITH WILLEM DAFOE AND FREQUENT COLLABORATOR BRUNO GANZ. AND BEFORE THAT THE WEEPING MEADOW AND ETERNITY AND A DAY ARE AMONG SOME OF HIS BEST WORK... WHICH JUST MAKES IT ALL THE MORE SAD THAT HE PASSED. NOT JUST THE FACT THAT IT HAPPENED, BUT HOW. HE WAS WORKING ON HIS NEXT FILM AND WAS SIMPLY CROSSING A ROAD WHEN HE WAS STRUCK BY A SPEEDING MOTORCYCLE. THEO WAS BROUGHT TO THE HOSPITAL WHERE HE LATER SUCCUMBED TO HIS INJURIES. HE WAS 76. THERE IS A SMALL NOTE OF IRONY WHERE EARLIER THIS WEEK THE INDOMITABLE GENE HACKMAN WAS STRUCK BY A CAR AND MANAGED TO COME AWAY WITH ONLY MINOR INJURIES. IT SPURRED ON A WEALTH OF JOKES ("HOPE THE CAR IS OKAY!" ETC) AND THEY PERFECTLY APT FOR THE SEEMINGLY IRON-CLAD HACKMAN. 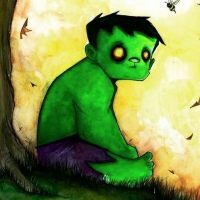 BUT TO HULK IT JUST MAKES IT ALL THE MORE SAD TO COMPARE TO THEO, A MAN WHO WAS FAMOUSLY A GENTLE, INTROSPECTIVE SOUL WHOSE COURAGE AND FEROCITY COULD ONLY BE SEEN IN HOW HE BROUGHT HIS BOLD, YET QUIET ARTISTIC VISION TO LIFE. MAKE NO MISTAKE, THESE ARE ABSOLUTELY FEARLESS FILMS. IF THIS SORT OF THING SOUNDS LIKE WHAT YOU'D BE INTERESTED IN, HULK FULLY RECOMMEND THAT YOU CHECK OUT THE FILMS HULK HAS MENTIONED HERE TODAY. CHANCES ARE YOU WILL NOT BE SORRY.